Your business card isn't just some way to share your contact info. It represents you and your company, and it can be a great way to make a first impression. 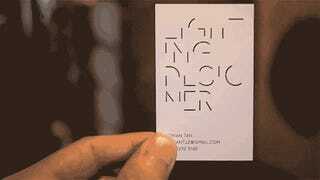 So how does a professional lighting designer make a big impact with his business card? With a design that's completely dependent on light.